Janet May Emmanuel passed away on July 2, 2018 at the age of 92 surrounded by her family. She was born in Chicago on May 24, 1926 to Swedish immigrant parents, Emil Olson and Karin Johnson. Janet was raised in Chicago with her sister Martha and brother Leonard. She graduated from Austin High School in 1944. In 1945, she met her future husband Bob Emmanuel at a Navy dance and they married in Chicago on September 6, 1947. After their marriage, they moved to Wooster, Ohio, Albuquerque, NM and Lawrence, KS in order for Bob to complete his education. As a geologist, Bob's work transferred them and their four children to many places. In 1965, they moved to Durango and from there to Casper, WY. Janet earned her LPN degree at Casper College and worked in obstetrics - an occupation she thoroughly enjoyed. In 1973, Bob was given the opportunity to work overseas in Singapore, Jakarta, Indonesia and Dubai. From this adventure, Bob and Janet developed a love of international travel that took them to many parts of the world. They retired in Durango in 1983 and built their dream home in Falls Creek Ranch. Janet had many interests. She enjoyed baking and cooking and passed her skills on to her children and grandchildren. She loved to hike, ski and take walks with her family and friends. 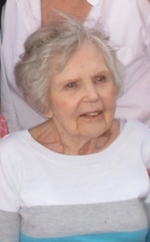 Entertaining, playing bridge, and gardening were some of her favorite pastimes as well. She was an amazing seamstress; she sewed her own wedding dress, formal dresses and creative outfits for her daughters. She somehow found the time with four children to sew intricate clothing for their dolls. With her love of color and keen sense of design, she started her "production" of many beautiful quilts. Janet's children are very grateful for their loving Mom who was always there to listen, comfort, support and encourage. With her positive outlook and sunny disposition, she taught us to enjoy life and we spent many wonderful years laughing together. We hold her close in our hearts. She is preceded in death by her husband of 64 years. She is survived by her: children, Susan (Joe) Scarpino, Sandy (John) Heller, Diane Emmanuel (Chris Meyer) and Craig Emmanuel; seven grandchildren, Christy (Jody), Danielle (Paul), Ciela (RJ), Jesse (Leslie), Channing (Mallory), Mira (Nick), Matthew; seven great-grandchildren, Joseph, Jeremy, Alec, Julia, Ava, Alma, Eleanora, Mason; nieces and nephews, Linda, Janet, Jafar and Farid. Remembrances may be made to Alzheimer's Association (alz.org) or Southwest Safe House (Durango, CO). A Celebration of Janet's life will be held at First Presbyterian Church (1159 E. Third Ave. Durango) on August 17, 2018 at 11:00am.